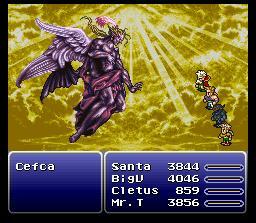 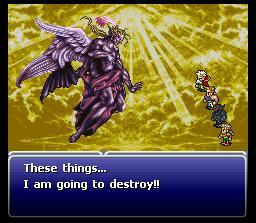 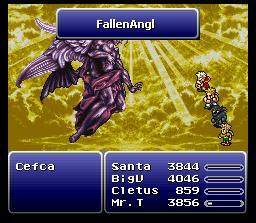 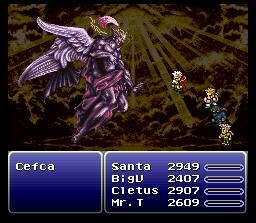 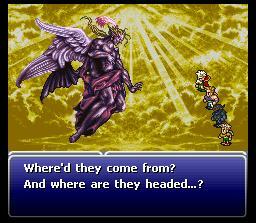 Kefka descends from above as a winged angel of death, ready to deliver destruction to the heroes that await him. Kefka gets things started off hot, with an evil pre-fight speech, followed by a crippling attack that leaves the for near death. 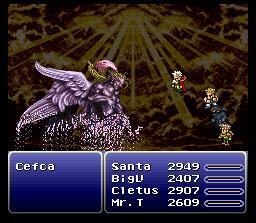 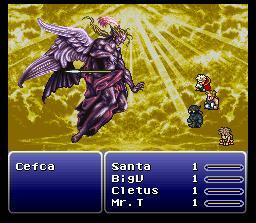 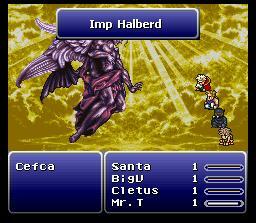 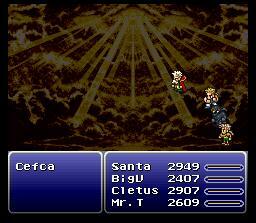 Cletus throws more deadly halberds, piercing Kefka for immense pain. 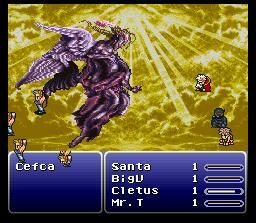 Big V dances around Kefka, pummling all sides of him mercilessly. 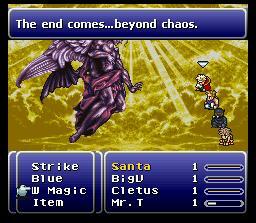 Santa begins delivering presents of special double packages of Ultima. 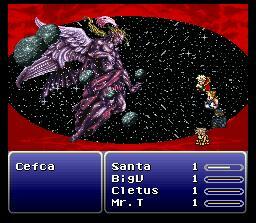 Mr. T channels the powers of the mighty Behemoth and hits with not only punishing physical blows, but with meteors from space as well. 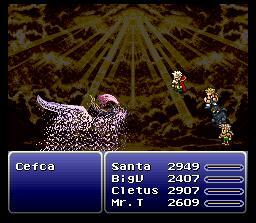 Kefka seems to be getting a littl peeved, and makes the screen shake a lot. 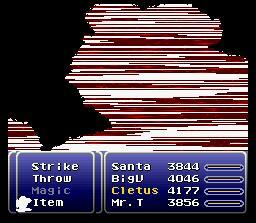 Cletus takes it upon himself to get the group back to fighting strength by offering some of his mother's home brewed moonshine. 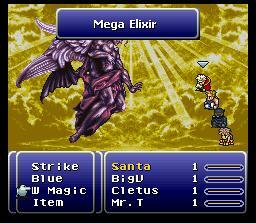 It definitely is effective. 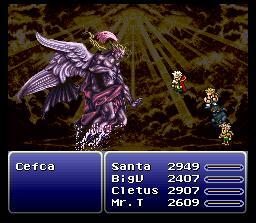 Kefka unleashes a powerful attack, but the party is still going.